The Tao is known for serving all your favorite Asian dishes, including California Roll, Pad Thai Vegetable, Steak Teriyaki, General Tao's Chicken and Hibachi Scallop. Located at 1834 Liberty Road, Sykesville, MD 21784, our restaurant offers a wide array of authentic Asian food, such as California Roll, Pad Thai Vegetable, Steak Teriyaki, General Tao's Chicken and Hibachi Scallop. Try our delicious food and service today. 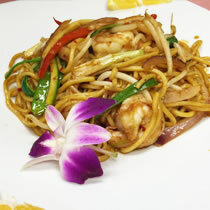 Come in for a Asian Lunch Special or during evenings for a delicious Asian style dinner.